Fred wakens from a nap to hear Pebbles and Bamm-Bamm singing in tune and accompanying themselves on musical instruments–amazing, since they can’t even talk yet. Famous manager Eppy Brianstone signs up the kids, and they become an overnight sensation. 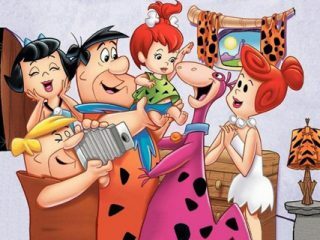 Wilma and Betty jet around to the kids’ performances and Fred and Barney are largely left behind. On the eve of their departure for Eurock, Fred decides no one is going to deprive the babies of their childhood, contract or no contract.